Swiss-born architect Mario Botta, best known in The United States for designing the San Francisco Museum of Modern Art and considered one of the world’s foremost architects for churches and museums, once said that "making architecture is a way of resisting the loss of identity, a way of resisting ‘banalization’ and the flattening of culture brought about by the consumerism so typical of modern society." Although these are truly noble intentions for designers everywhere, we live on a planet filled with globally expanding economies and a steadily increasing number of people now ranked somewhere between the terms ‘millionaire’ and ‘billionaire’. With the global share markets booming, it is worth taking a moment to consider the effect this growth of extreme wealth is having on architects and designers in an increasingly westernized world where consumerism and wealth are often seen as the ‘be all and end all’. Mr Jolson, whose firm specializes in producing both large and small scale commercial and residential design projects that focus on the synergy between lifestyle and innovation, believes Australians are generally much more design savvy, with a broad spectrum of design needs. “Our clients come from a broad range of financial backgrounds, but the common factor we find is that they are much more concerned with individual project integrity and creating a lasting design that is devoid of market forces and temporary wealth-based style. However, I think that it also often depends on whether or not you are dealing with ‘New Money’ or ‘Old Money’, as I often view the push towards purposefully branding designers as a newer phenomenon which is rather ironic considering branding and marketing something often leads to mass production, whereas design should always be personal.” However, one area in Australia in which branding and overt consumerism has had a strong influence is in project development, rather than design. “I think developers are certainly susceptible to indulging in overt consumerism and branding to get their projects across the line, depending on the extent to which they can use their name to leverage the implementation of the project,” he added. This point would seem to hold a substantial amount of weight when one considers Bruno Grollo’s attempt to build Australia’s (and indeed the world’s) tallest building in Melbourne’s Docklands precinct – aptly titled ‘Grollo Tower’. The project was originally proposed at 680 metres (2,230 feet) and 137 levels in 1997, before being scaled back to 560m (1,837 feet) and 113 floors in 1998. And the price tag for such a project? A cool AUD $1 billion. Such a project would have clearly dwarfed the rest of the Melbourne skyline, with the Rialto Tower being the tallest building at the time and standing at only 253m. Despite the Victorian Government’s approval of the planned construction, the proposal faced equally as much opposition as it did support and the deal eventually collapsed before construction had even begun. Professor Kim Dovey, Head of Architecture at Melbourne University, commented on the ABC’s The 7:30 Report that the ‘Grollo Tower’ project was “a gross development, really. 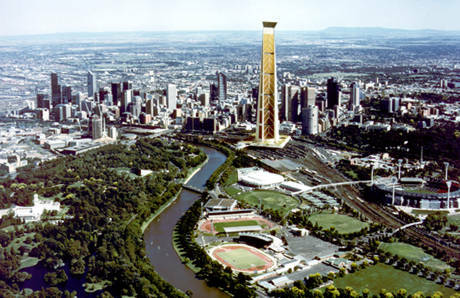 It's over-scaled and it's one family's landmark which will totally dominate the city”. Further fuelling the argument against overt consumerism, ego and branding he was also quoted at the time as saying that the Grollo tower symbolised an “urge to produce a timeless vertical erection [that] cannot be divorced from the phallic”, and that Bruno Grollo’s pursuit to build the world’s tallest building is “a variation on the schoolyard game of mine’s bigger than yours”. Despite this knock back, however, the project eventually found a new home in Dubai – for a whopping AUD $3 billion – and Bruno Grollo returned to build Melbourne’s current tallest building, the Eureka Tower, for AUD $500 million and standing at a much-reduced 297m. Melbourne’s experience with the Grollo Tower illustrates that extreme wealth can often impact on design by steering it towards projects that are arguably ego-driven in nature; particularly for developers. One man who does believe that extreme wealth can have a negative impact on design as a whole is Professor Miles Lewis, Professor of Architecture at The University of Melbourne. “Extreme wealth often goes with extreme vulgarity, and we are finding in Australia that wealth is also giving rise to a great amount of waste in design. At the upper end of the market, I have seen houses in suburbs like Hawthorn with huge areas of space which have no apparent purpose. And I have seen apartments in Toorak in which every room had a bathroom but the master bedroom had two bathrooms, two toilets and two dressing rooms, this suite alone approaching the size of a small house!” he said. According to Professor Lewis, such indulgences “serve no practical purpose, and seek only to expand the size of the dwelling for its own sake.” Although Australia, for the most part, has avoided the glorification of designers and the over-indulgences that extreme wealth can buy, Professor Lewis also points out that this is predominantly a cultural factor. “In Australia, the rich and the poor have the same dream to own their own home with a swimming pool etc, the only difference being whether or not they can afford it. In Europe, the rich and the poor have entirely separate tastes and therefore every architect signs their building so every passer-by will know who has designed it. In Australia we have escaped that and, as a result, escaped the kind of designer branding and glorification that leads to overt consumerist design,” he added. Although it is highly likely that Australia will eventually follow the rest of the world in branding and glorifying designers, the question still remains as to ideally what the role of the designer should be when commissioned to design an obscenely expensive project? The truth is their role should remain the same as it always has been, with a commitment to the integrity and functionality of the project. However, this may be more idealistic than realistic. As Professor Lewis concludes, "A tighter control of space, more demands for energy efficiency, and more height and envelope controls will all improve design. The essence of a good designer is that they can successfully work within a range of constraints; without constraints less skill is required and this often leads to gimmicky or vulgar design."